This Staggerwing G-17S, the last G model Staggerwing built at Beechcraft’s Wichita factory, is seen at the Wichita Municipal Airport (now McConnell AFB), in the late 1940s, after it was sold to oilman Willis Hartman. Kansas City businessman Stephen J. Craig frequents the skies in a pristine G model Staggerwing and an equally pristine German-built Bücker Bü 133C Jungmeister (Young Champion or Master), which he says are “at almost opposite ends of the spectrum. Craig, who lives in Lawrence, Kansas, and has a second home in West Los Angeles, keeps his Staggerwing at a friend’s hangar at Van Nuys Airport when it’s not in Lawrence, where it is presently. His Jungmeister is based at Santa Paula Airport, in Santa Paula, Calif.
Craig is president of Lawrence-based Linquist & Craig Hotels & Resorts, which builds, owns and/or manages hotel properties nationwide. One of these properties is the historic Beaumont Hotel in the Flint Hills of Kansas. Located in Beaumont and originally known as the Summit Hotel when it was established in 1879, it first served as a stagecoach station and stopping place for cattlemen and railroaders. For five decades, private pilots have been landing on the 2,400-foot strip of prairie on the east edge of Beaumont, turning west off the south end of the strip, taxiing up to Main Street and parking across from the hotel. A pilot for 33 years himself, Craig, who also owns a Grumman F4F-3 “Wildcat” and a Beech F33A Bonanza, became involved with aviation while in the Navy. But Craig did get initial pilot training through the Navy. He later got his commercial, multi-engine and instrument rating on his own. Craig later attended law school, and practiced briefly, before going to work for a real estate company and then winding up in the hotel business. Craig’s Jungmeister has a unique role in Bücker history. Carl Clemens Bücker was a lieutenant in Germany’s naval air service when Germany signed the Treaty of Versailles in June 1919. The treaty called for a drastic reduction in the size of both the army and navy and the complete abolition of military aviation. As a result, in 1920, Bücker moved to Sweden, where he became a technical adviser and test pilot for that country’s navy. On Sept. 10, 1921, he officially formed his own company, Svenska Aero AB, which produced a variety of aircraft. Bücker returned to Germany as expansion plans for civil and military aviation were being drawn up, about two years before the existence of the Luftwaffe was officially made known. Bücker arrived in Germany with engineer Anders J. Andersson. Financed by Ambi-Budd Presswerke, Bücker formed Bücker Flugzeugbau GmbH, in Johannisthal, in October 1933. Within six months, the factory had produced its first aircraft, the Bücker Bü 131A Jungmann, a small biplane trainer, which made its first flight on April 27, 1934. The aircraft was later chosen by the pre-Luftwaffe Luftsportverband as its primary trainer. Later, Jungmanns were built under license in countries including Spain, Switzerland and Czechoslovakia. Models were eventually delivered to Brazil, Uruguay, Chile and Japan. With the success of the aircraft, the company moved to new, larger premises at Rangsdorf, a southern suburb of Berlin, in 1935. Later that same year, the Bü 133 Jungmeister, a single-seater, made its first flight. After that, two Bü 133Bs were built. The next and final variant of the Jungmeister was the Bü 133C. Recently restored and now owned by Stephen Craig, the Staggerwing was first brought to the attention of the Journal when freelance photographer/journalist Frederick “Gus” Platts watched the plane touch down at Camarillo Airport in awe. 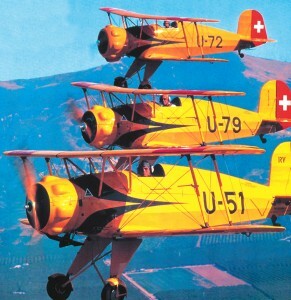 By the time the Jungmeister debuted, the air arm of the Swiss military had already decided to use the Jungmann as their standard primary trainer. Now, they were interested in the Jungmeister as well, as an advanced training aircraft. They made a deal for Dornier, located in Altenrhein, Switzerland, to build the Bü 133C under license, due to the high demands at the Bücker factory. Similar to the earlier Bs, the C was powered by a Siemens radial engine. Differences included the fuselage of the C, which was 10 inches shorter. Also, the wings were clipped by 31-1/8 inches. As Dornier set up production, the initial three Bü 133Cs were built at the Rangsdorf factory. The first of the three built, which was the fourth Jungmeister built, is the Jungmeister now owned by Craig. That first production Jungmeister, c/n 1001, identifiable by a large 51 code (later changed to U-51) on the side of the fuselage, received the Swiss civil registration HB-HAP for its ferry flight from Germany to Switzerland. On Jan. 23, 1937, Jungmeister 51 was turned over to the Schweizerische Flugwaffe. The air force eventually had 50 Jungmeisters. 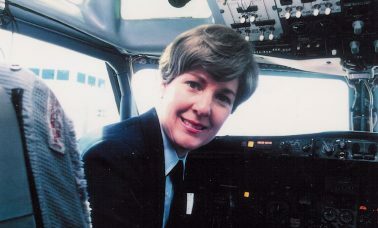 In 1992, Woods sold it to Elbert “Woody” Woodward, a former Air Force pilot and captain for Delta Air Lines at the time, who has owned numerous veteran and vintage aircraft. At the time Woodward purchased the aircraft, logs indicated it had only 900 hours of flying time. 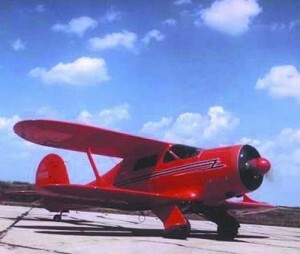 Craig, who had helped Woodward a little with his restoration of the Jungmeister, acquired the aircraft, which had a recently overhauled engine, in late 1998. Along with a spare engine, the aircraft came with numerous parts for a Jungmann. Craig flew the Jungmeister from Franklin, Tenn., to Lawrence. 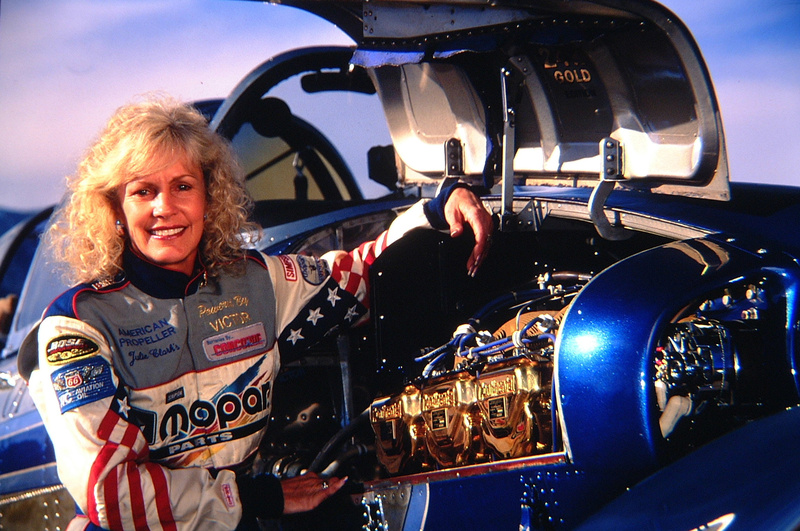 After an engine failure, Woodward had installed a second engine. When Craig acquired it, that engine had about four and a half hours of time on it. Later, Craig flew the plane to Santa Paula. The fact that Joe Kruybus is also at the airport is an added bonus. Kruybus is an acknowledged Bücker expert who supplies parts to and works on the aircraft of Bücker owners. Bottom to Top: Flying above Santa Paula are Stephen Craig in the first production Jungmeister, U-51, based at Santa Paula Airport; John Hickman flying U-79, based at Gillespie Field; and Don Older flying Bruce Kemper’s U-72, based at Santa Monica Airport. There are about 16 to 20 airworthy Jungmeisters worldwide. Craig and other Jungmann and Jungmeister owners will once again gather this year, June 14-16, for the annual Bücker gathering at Santa Paula Airport. Last year’s gathering drew at least three Jungmeisters, including Craig’s, and several Jungmanns. 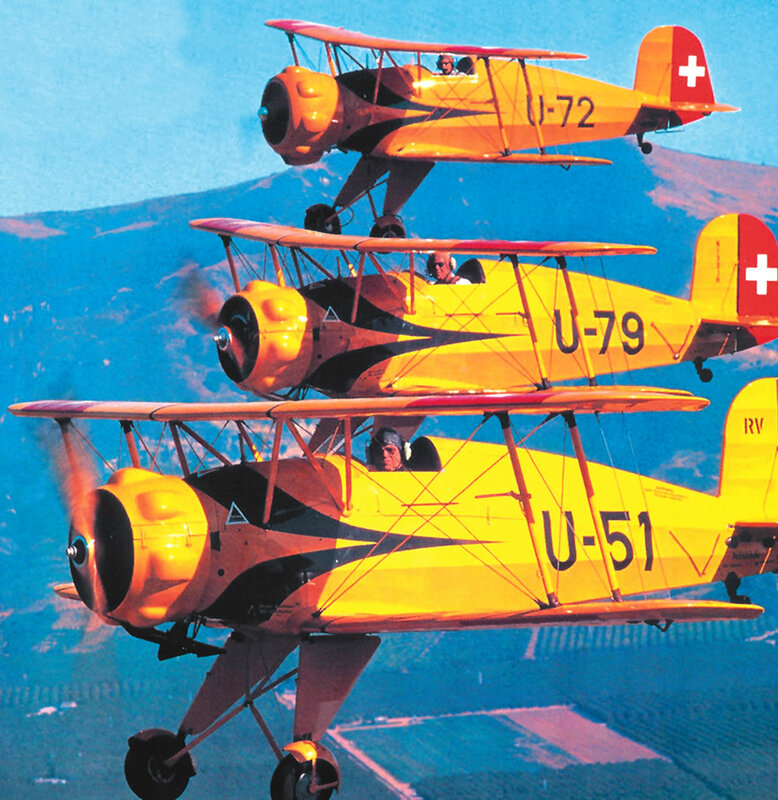 The Jungmeister was an inspiration for various high-performance stunt and acrobatic aircraft, including the Pitts Special. Interestingly enough, Craig sold a Swiss-built Bü 133 Jungmeister that he had owned for about 16 years to a collector in England, in 1995, to raise the money to buy his Staggerwing, purchased that same year. 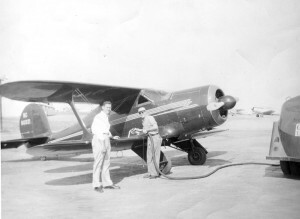 Shortly after Craig acquired the Staggerwing, Ivan Behel Jr., who had tracked Craig down through the Staggerwing Museum and Foundation in Tullahoma, Tenn., and through Federal Aviation Administration records, called Craig and told him that his father, Col. Ivan Behel, had been the aircraft’s first non-Beech employee pilot. “They decided together without their dad’s knowledge that they would try to find the airplane,” Craig said. Behel Sr. was surprised when he received a call from Craig, as arranged by the brother and sister. “Until that time, for the last 40-some years, I didn’t have any idea that it still existed,” said Behel Sr., who lives in Colorado Springs. 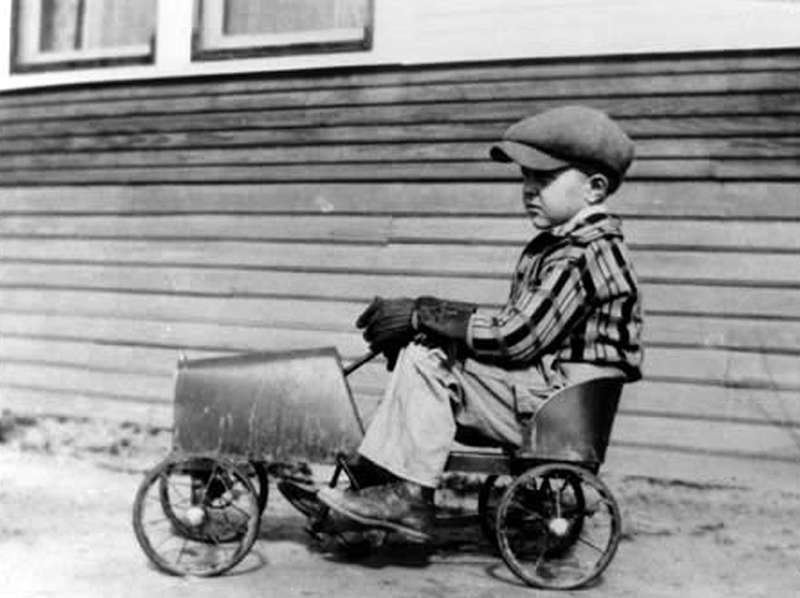 Behel, born in 1921 in Alva, Okla., soloed on Christmas day in 1939, and was able to rack up flight time in a Piper Cub he purchased with some of the money his family earned from an exceptionally good wheat crop one year. 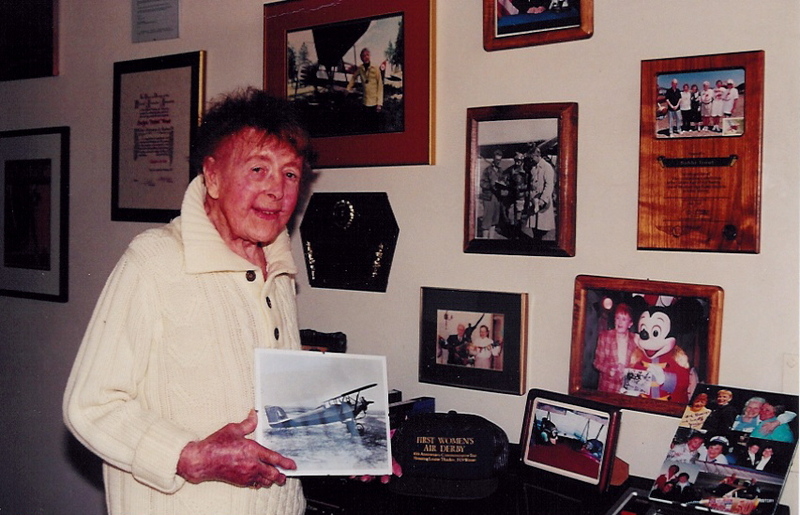 Behel received flight training through the Civilian Pilot Training program. Behel trained in Tulsa at the Spartan School of Aeronautics, before joining a British unit of the Royal Air Force in late 1940, at Middle Wallop. Behel was a “night fighter,” whose job was to “stir up trouble” over France for the German military. When he returned from overseas, he was stationed at Peterson Field, in Colorado Springs, in training command. Col. Ivan Behel reminisces about the Staggerwing he flew in the late 1940s, which is now owned by Stephen Craig. 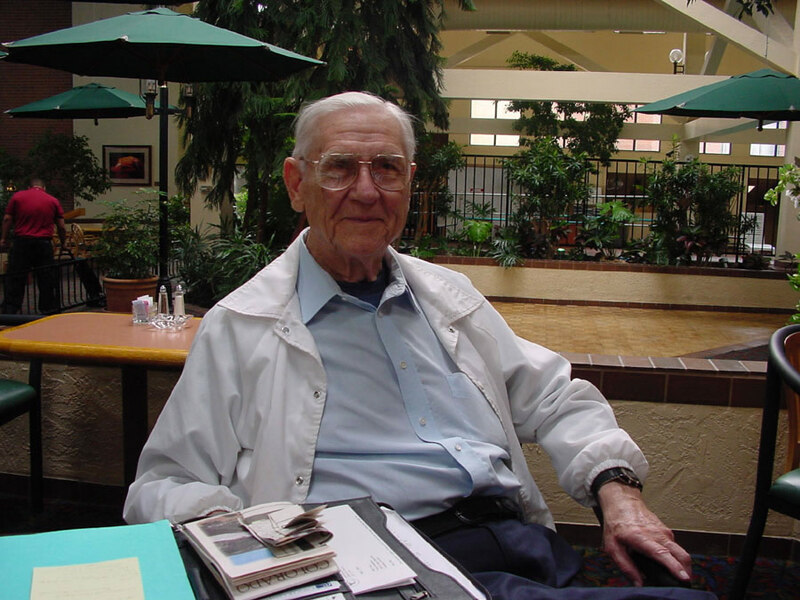 Behel’s background led him to Wichita in the mid-1940s, after his last tour of duty. 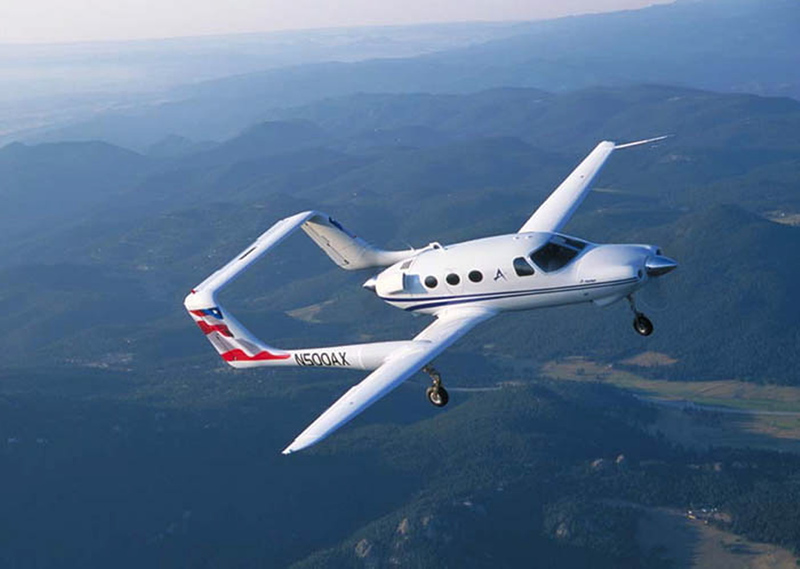 At a small airport there, he earned his instructor’s rating, and then became an executive pilot for the Kansas Milling Company. 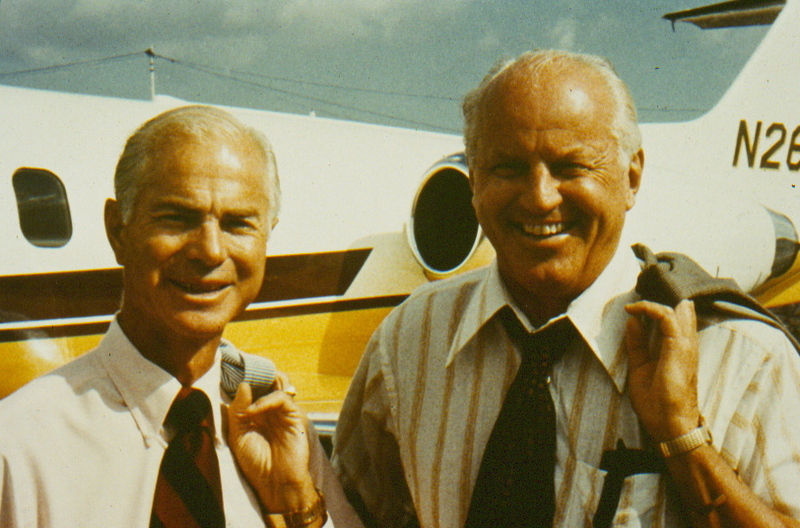 Part of Behel’s job was to fly salesmen to various cities, in the company’s twin Beech, where they would drum up customers. “They went to these little country-type stores and the big ones, too,” he said. After that, Behel went to work for Willis Hartman. The owner of a Lockheed 12A, Hartman acquired a Beechcraft Staggerwing G-17S (N number 80321 and serial number B-20) in November 1947. One of Behel’s roles with Hartman was to transport him to San Antonio, Texas and the Broadmoor in Colorado Springs, where his polo ponies, sent on before, awaited him. 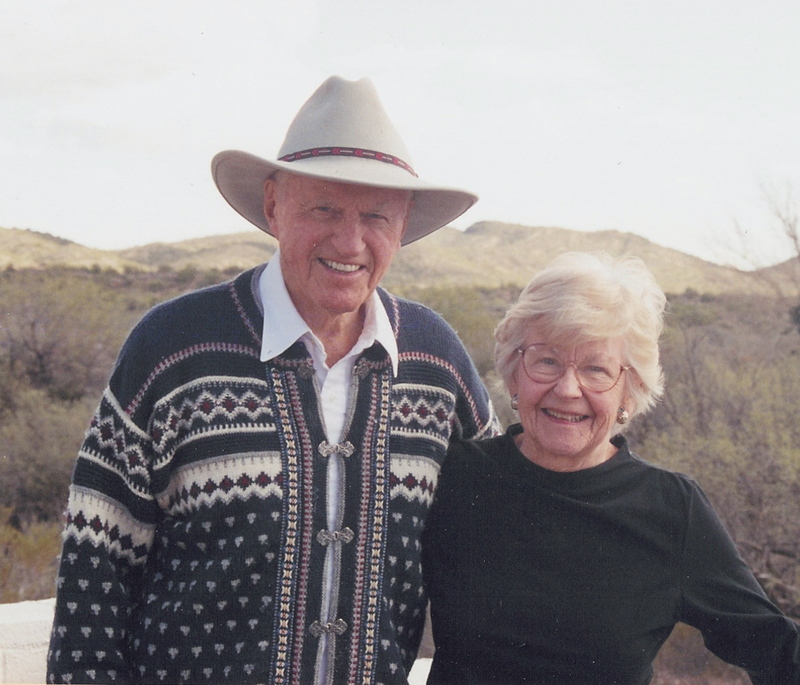 At other times, Behel would drive Hartman to his cabin in Creede, Colo., where Hartman fished. To reach the sod landing strip at Creede, near the Continental Divide and at an elevation of 8,852 feet, Behel would have to first get over Wagon Wheel Gap. “To take off, I’d circle around until I got my 12-5 (elevation of 12,500) and then I was safe to go over Wagon Wheel Gap,” he said. He took the Lockheed in there as well, but said the Staggerwing performed better. Behel worked for Hartman until he was activated as a pilot with the Kansas Air Guard during the Korean War, in late 1950. For about two and a half years, he was part of a wing formed in Alexandria, La., which delivered aircraft for the NATO build up. Then, he became an operations officer for the Air National Guard at Kansas City. He lost track of the Staggerwing, since he didn’t return to work for Hartman. 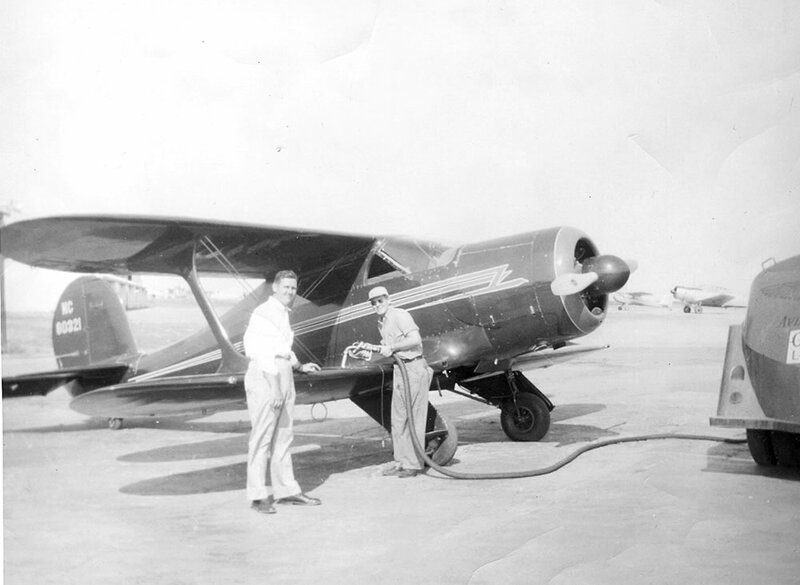 Ivan Behel (left) waits as Mr. Hartman’s Staggerwing G-17S (B-20/NC8031) is gassed up at the Wichita Municipal Airport (now McConnell AFB), circa late 1940s. 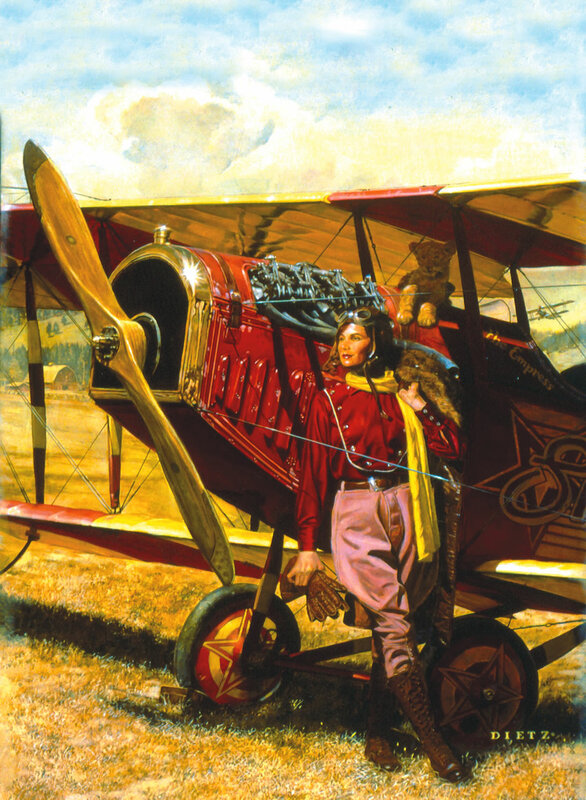 As for the rest of Behel’s aviation history, he had about eight years of active duty, which included time with Air National Guards at Oklahoma City, Okla., and Cheyenne, Wyo. 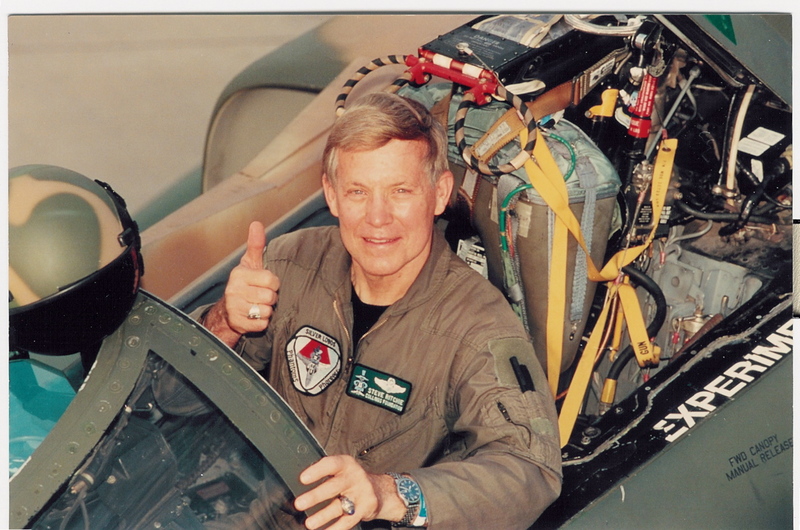 He began working for the Federal Aviation Administration in 1960, the same year he moved to Denver. His last six years with the FAA was as a principle operations inspector, assigned to United Airlines. Type rated in the 727, 707 and DC-8, Behel, who is retired from the Guard and the FAA, and no longer flies, has over 10,000 hours of flight time. The Staggerwing’s latest owner has spared nothing in returning the aircraft, powered by an R-985 Pratt & Whitney engine, to its former glory. When Craig bought it, it was capable of flight, but he says that after 50 years, it was time for a total restoration, which began in 1997. “It took about three and a half years of effort to totally restore it,” Craig said. An enormous amount of work was undertaken during the restoration, including the new wood and leather interior and full rewiring. 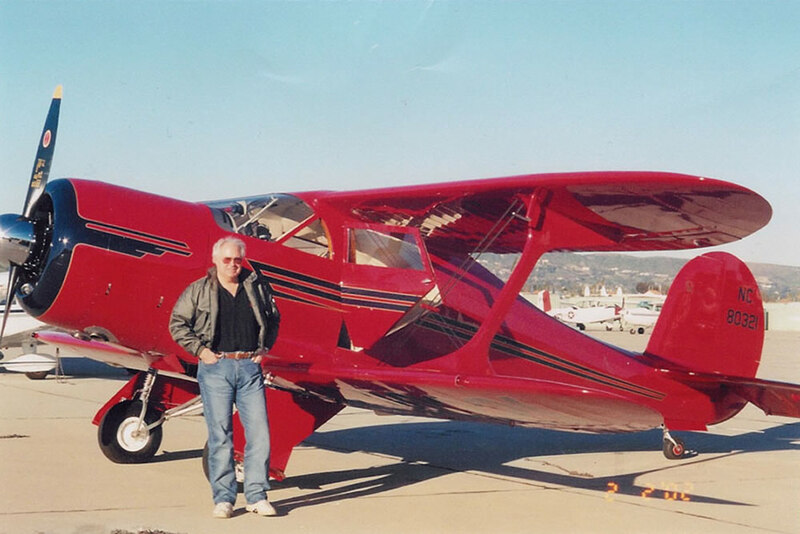 His purchase of the Staggerwing, the “Learjet of the 1930s,” came decades after he first saw one when he was learning to fly, and thought it was a beautiful aircraft. Behel plans to visit Craig and the Staggerwing in Lawrence this summer. 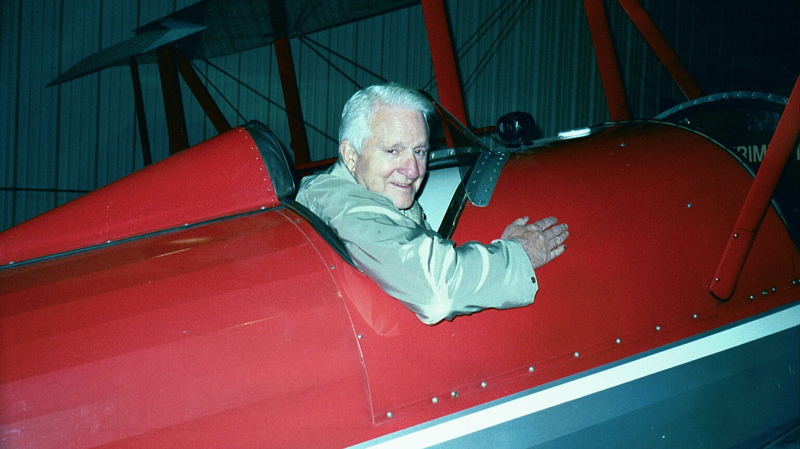 “It has been a thrill for me because he told me a lot about the early history of the airplane,” Craig said.